The work whistle's blowing, and it's time for your daily dose of glorious truck photography. 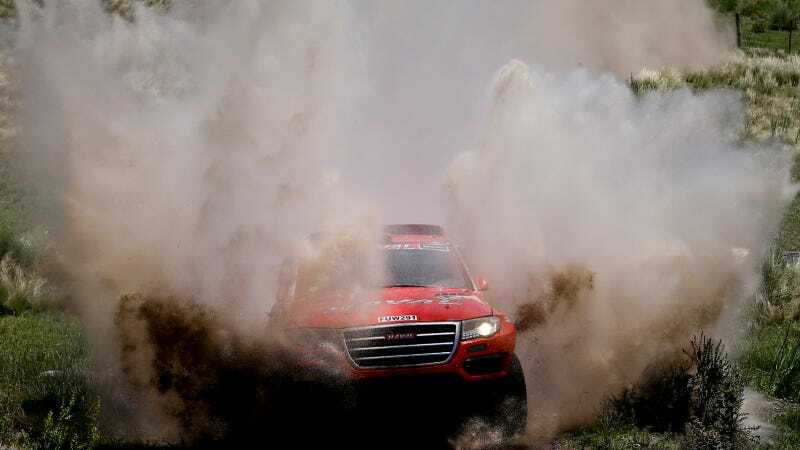 Here's the Team Haval/Great Wall Dakar rig pummeling a puddle somewhere between Rosario and San Luis in Argentina, on Sunday, Jan. 5, 2014. Portuguese drivers Carlos Sousa and Miguel Ramalho behind the windshield, and that giant plume of mud.